Q. My family is Reform/Conservative/Not observant. Will we feel comfortable at the Shalom Preschool? A. Yes! Shalom Preschool is a warm, inclusive environment. We are proud of our diverse background of families. We have been successful at creating an amazing community of preschool families. Q. Tell me about lunch and snacks. A. We provide a morning snack for your child. Parents send lunches for their children. Some of the children keep Kosher at home, some do not, so we don't share lunch with our friends. We have a fresh fruit rotation system, where parents are asked to send in fresh fruits with their child a few times a year. Q. Is the school licensed? Q. What is the teacher to student ratio? How many teachers and students are in each class? A. We have higher teacher to student ratios then is expected of our school from the Department of Children and Families. This means there are more teachers and less students then we are required. Our small class size, and great ratios ensure your child gets the individualized attention that they deserve. Q. What degrees do the teachers have? A. All of our teachers have more than ten years teaching experience and have teaching degrees in varying levels from bachelors to masters. Additionally, our teachers are CPR/First Aid Certified and are trained in emergency safety protocol that our school follows very carefully. Q. What is a typical day at Shalom Preschool? A. There is nothing typical about a day at Shalom Preschool. Each class has a different tempo and the teachers are very in tune with the needs of the children. The children have a long morning hour of work activities, all addressing the skills of early childhood, like math, science, pre-writing, literacy, art, fine motor, sensory and more. Children have outdoor time each day. There is a small and large circle time which includes songs, movement and storytelling. There is snack and lunch, and dramatic play with blocks, dress up, kitchen and more. Q. 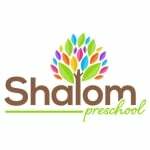 What special activities are offered at Shalom Preschool? 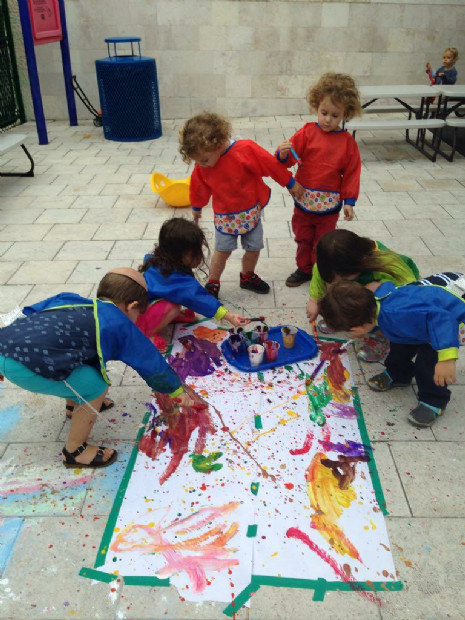 A. Kidokinetics, music, Shabbat and holiday parties, and visiting artists are among our special activities at school. Q. What can parents do to be involved? A. We have an active PTO and encourage parents to participate, participating in facilitating school wide events like Thanksgiving, Chanukah parties and our annual Big Event.